Life in the Age of Rembrandt: Dutch Masterpieces from the Dordrecht Museum, on view at the Columbus Museum of Art (CMA), is the result of an innovative international partnership with Dordrecht Museum, The Netherlands. Spanning more than three centuries, Life in the Age of Rembrandt features 17th-century art from the Golden Age of Dutch painting and concludes with works of The Hague School of the late 19th-century. This exclusive exhibition, shown only in Columbus, Ohio, showcases some 90 works, including 40 masterworks, many paired with a related object such as a print, a coin, Delft ware or silver. All the works in the exhibition are on loan from the Dordrecht Museum, The Netherlands. Called the cradle of the Golden Age, the city of Dordrecht is steeped in European Old World traditions, art and history and is the oldest incorporated port city in Holland. The influence of the Golden Age is still visible in Dordrecht’s many mansions, ancient warehouses, canals, churches, city walls, harbors and busy merchant streets. Dordrecht Museum is one of the oldest and most important fine art museums in Holland. 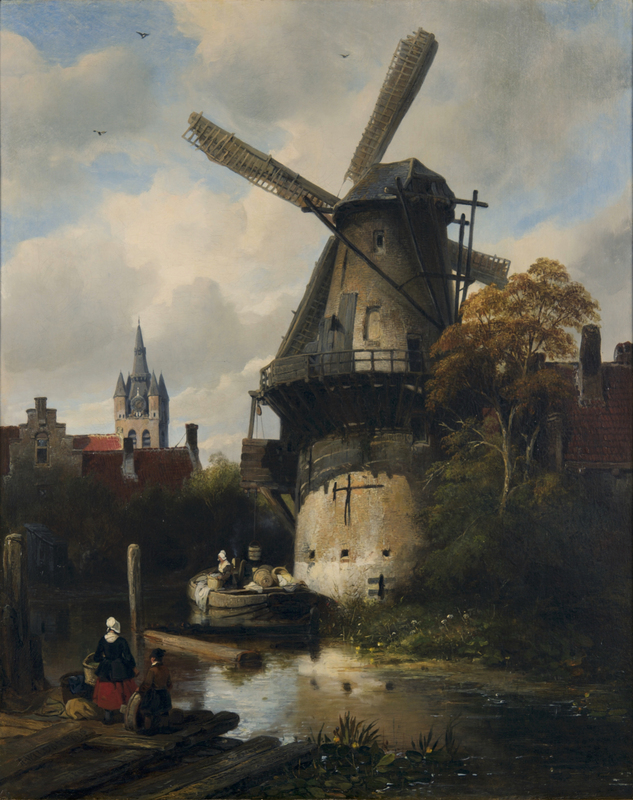 It houses six centuries of Dutch paintings and presents a varied selection of temporary exhibitions each year as well as numerous programs and events for members and visitors. The Dutch Golden Age (17th century) was a period of great wealth for the Dutch Republic, including Dordrecht. As international trade expanded, cities and citizens grew in wealth and prominence. Art and science blossomed during this time as well. The majority of works in Life in the Age of Rembrandt were executed in the 17th century or Northern Baroque period, during which Dutch painting’s most famous master Rembrandt was active. In Dordrecht and elsewhere, 17th-century Dutch art was a mirror of daily life in Holland. The so-called "little masters" specialized in specific subjects such as portraits, landscapes, still lifes and genre scenes or depictions of everyday life. These paintings were owned by members of Holland's prosperous middle class, and rarely included overtly religious subjects, since the dominant Calvinist faith in Holland prohibited images of Biblical figures in churches. However, secular paintings were filled with hidden religious or moralizing meanings. 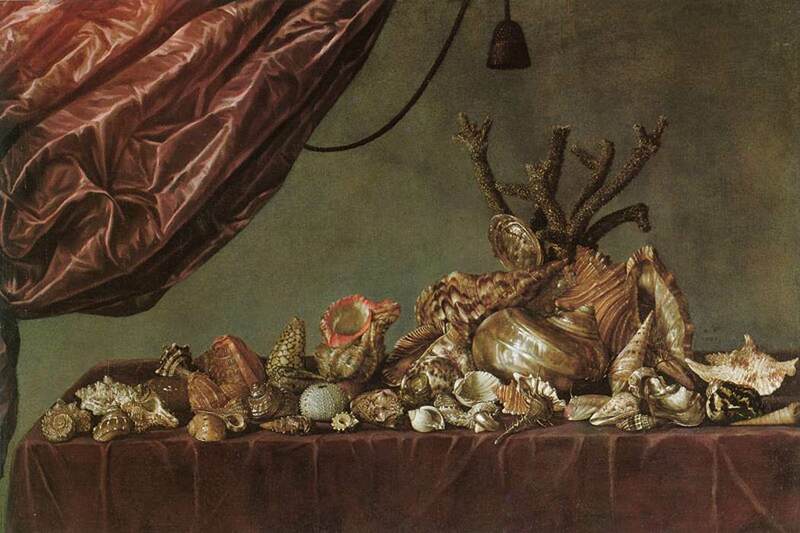 The flowers in Bed of Tulips by Jacob Cuyp, for example, are a symbol of the vanity of physical beauty (because they quickly wilted and died) and of material greed, since they sold for exorbitant prices in the 17th century. Indeed, the Dutch economy crashed when the tulip market collapsed in 1637, one year before this painting was completed. The Fish Market (1627) by Jacob Gerritsz Cuyp, Dordrecht’s first important painter, depicts a fish vendor and two women in an open-air marketplace. The painting highlights the importance of maritime commerce in Dordrecht, and carries a warning against vice: fish-trading was commonly associated with base desires, hence an undertone of sexual innuendo hangs over the scene. Two salt cellars representing a fish monger and a maiden will be installed adjacent to the painting. Designed by Anthony de Vos, they are an example of costly luxury items that will accompany certain paintings in the exhibition. In other cases, more common, everyday objects from the 17th-century such as ice skates, a helmet or a baby’s high chair will be paired with paintings, bringing the content to life for visitors. 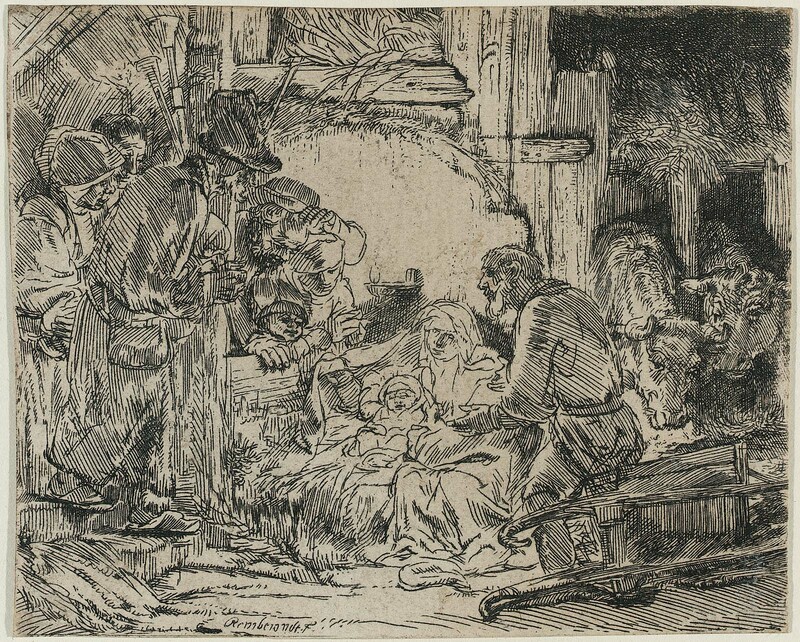 Life in the Age of Rembrandt is the first project stemming from an ongoing collaboration between CMA and the Dordrecht Museum, The Netherlands. The goal of the partnership is to celebrate the remarkable treasures of both museums while broadening perspectives and cultivating a global view of community. Through multiple–year exchanges, CMA and the Dordrecht Museum will build empathy and cultural understanding between people. 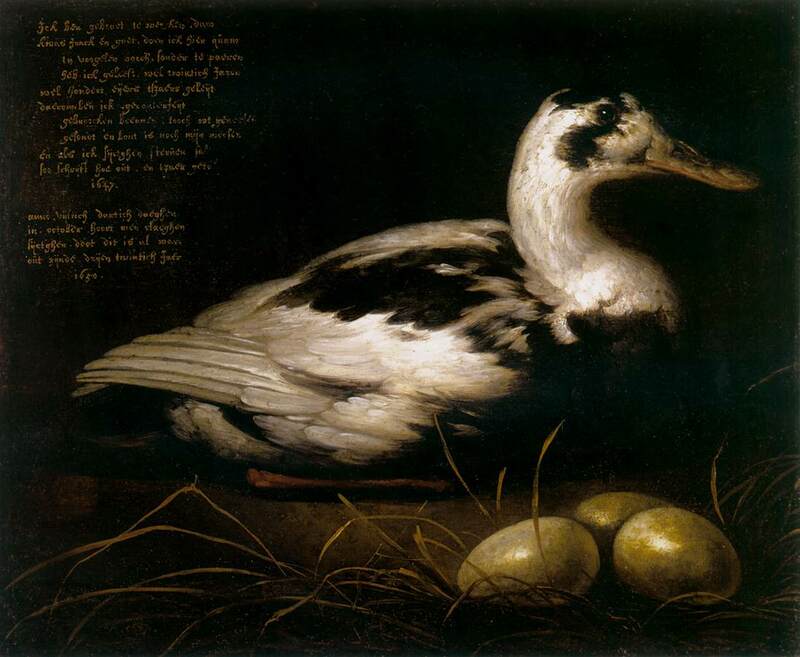 Dordrecht Museum will lend to CMA old master works and in turn, CMA will lend to Dordrecht Museum a number of its outstanding American and European modern works of art. Not only is each museum sharing the strength of its permanent collection, but the exchange also allows each to present artworks not well-represented in their respective collections. In 2020, Dordrecht Museum will present the temporary exhibition Pioneers of Modernism, which will feature, among other works, Mary Cassatt’s Portrait of a Young Woman, c. 1898, on loan from the Columbus Museum of Art, Ohio.